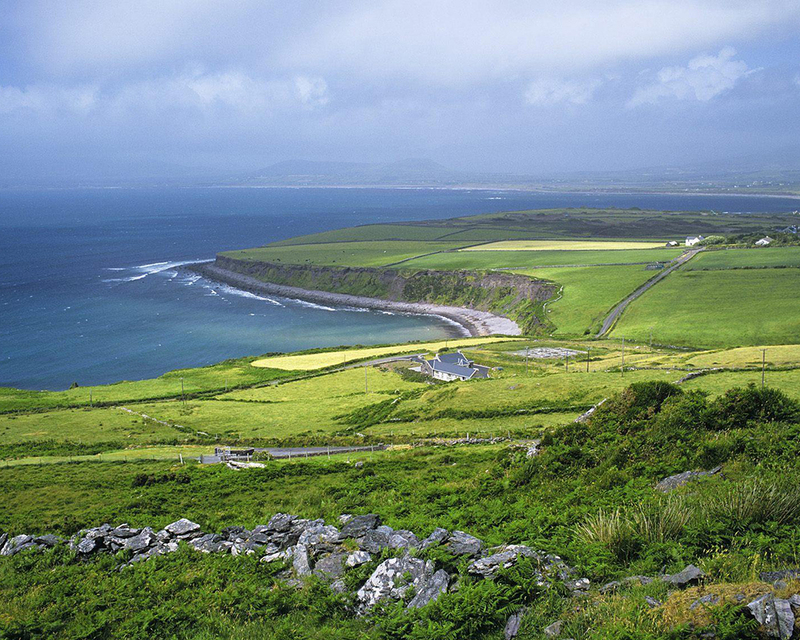 Ireland ~ Land of the Loud, Home of the Gluten Free! Ireland is a majestic land full of beautiful greenery, loudly welcoming people, and delicious food that often happens to be gluten free! I spent a week in Ireland this past fall, going from Dublin to Galway down to the Cliffs of Moher and back again. It was the most magical week of my life. Gluten intolerance is very common in Ireland. This is attributed to the early Irish diet; before the Irish Potato Famine that lasted from 1845-1849, the main staples of the Irish diet were potatoes and oats, the latter being the only glutinous food common in the early Irish diet. Unfortunately, when the potato crops started to fail, the prices of other crops went up and oats became too expensive for most of the impoverished, starving country. Enter wheat bread! With over three million citizens lining up for meals at soup kitchens, wheat bread was cheap and filling and became a staple. However, after five thousand years of a mainly non-glutinous, potato based diet, the Irish’s digestive systems were ill equipped to handle the wheaty onslaught and as each new generation arrived, they could tolerate it less and less. Due to this, Ireland is basically a haven for the gluten intolerant, as every grocery store, café and restaurant has tons of gluten free options. Brother Hubbard is a sweet and unassuming, Middle Eastern inspired café. Now with two locations, one on each side of the Liffey River, they were just awarded “Best Breakfast in Ireland” by the Irish Independent Reader Travel Award. I nipped in here with a few friends for a late brunch one morning, and was incredibly pleased with my delicious plate. As is standard in Ireland, Brother Hubbard had all allergens listed on the menu and were happy to substitute with gluten free bread, at no additional cost. I had “Brother Hubbard’s Avo & Eggs,” a delicious dish of toasted sourdough with a delightful smashed avocado and chickpea spread and topped with two poached eggs, and finished with house dukkah, radish, and beetroot powder. They kindly swapped the sourdough for their house made gluten free bread, and I was so very impressed with its delicious flavor and excellent texture. The avocado and chickpea spread was delightfully smooth and very savory; the eggs poached to perfection. The interesting toppings of dukkah, radish, and beetroot powder gave it an unexpected freshness and zing. Brother Hubbard’s menu is comprised of Turkish egg dishes, pulled pork sandwiches, Asian slaw salad, beef brisket, and vegan options! And the only thing better than their brunch menu? Their desserts of course! Try their tahini and date caramel slice (gluten free and vegan!) or the coconut, pineapple, & citrus cake (gluten free!). I’m a breakfast person. To me, a day that starts with a balanced and delicious breakfast is a day that is full of promise! Since I have food intolerances as well as struggle with my blood sugar, I prioritize breakfast over just about anything. I have found that this is even more important when I am in unfamiliar surroundings, as I never know where my day is going to go or if I will encounter “Maggie Safe” food along the way. 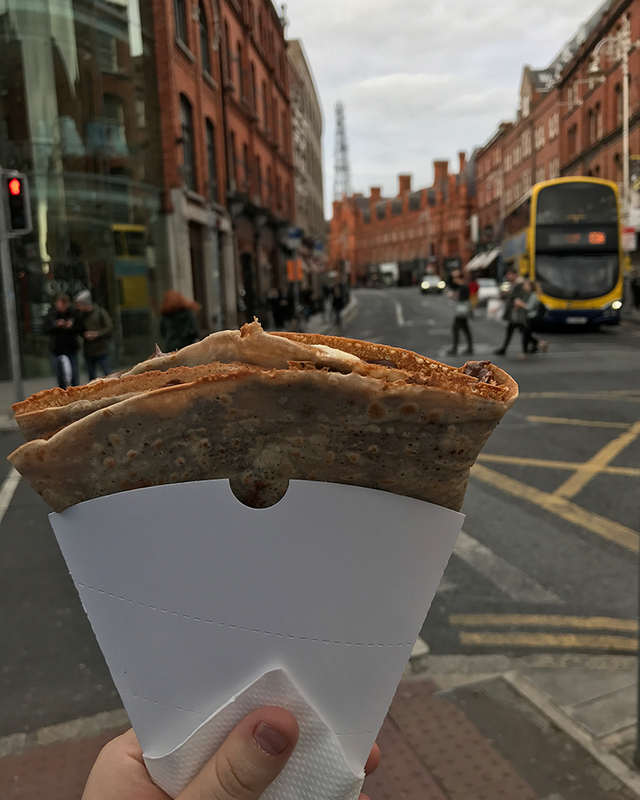 My favorite breakfast spot in Dublin was a cheery creperie called Lemon Jelly. Not only did they have fantastic gluten free crepes but they had delicious hearty Irish Breakfasts, and gluten free toast for substituting! Their crepe toppings reached from lemon butter and sugar, to bacon, cheese and tomato, to bacon maple madness! As indecisive as I am, my favorite thing about Lemon Jelly was all the different choices. There were crepes, there were full breakfasts, there were bagel sandwiches, and light bites! Plus they had a bursting bakery case with gluten free options! I opted for the full vegetarian Irish Breakfast on one visit and the Monkey Madness GF crepe on another. The crepe was airy and light, and the gooey Nutella and banana filling made for the perfect complement. 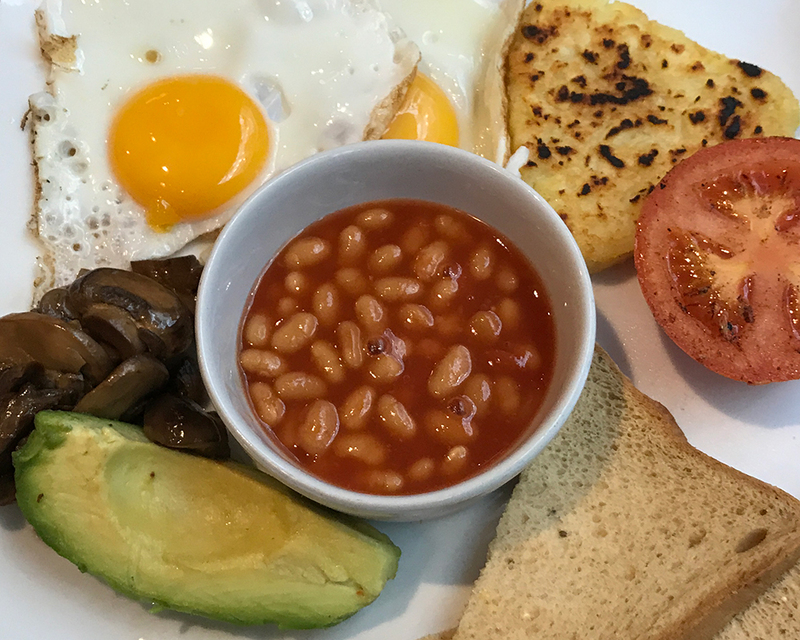 The vegetarian full Irish was a hearty breakfast of two fried eggs, hashbrown, baked beans, fried mushrooms, tomato, avocado and toast; a perfect start for a full day of adventuring in Dublin! I fell in love when I was in Dublin…with Tesco grocery stores. 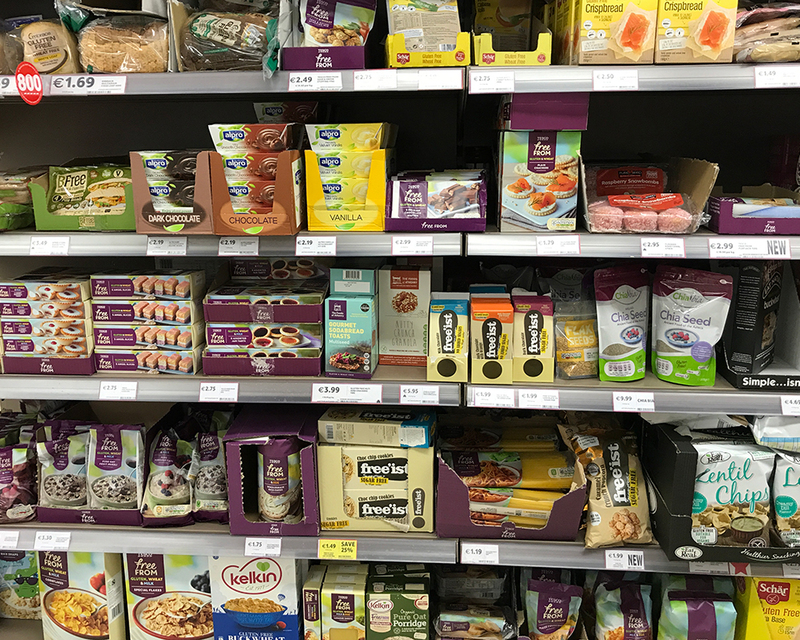 Not only is Tesco fully stocked with every food item, snack, beverage or the like at a great price, but it has an enormous gluten free section! I’m talking shelf after shelf full of packaged gluten free foods that I have never even seen in the US; cookies, crackers, miniature pies, pudding, cereal, breads, pizza crusts, and pastas. Notable brands included Tesco’s own Free From, Free’ist, Purebred, and Schar! Sadly for my stomach but lucky for my wallet, staying in hostels isn’t super conducive for cooking, so I purchased a few of the “ready to eat” snacks, like the Free From Miniature apple pies, Schar Crispbread, and Purebred raspberry snowbombs, and had the best little lunch in my hostel’s kitchen, as I watched the Irish rain pour down. 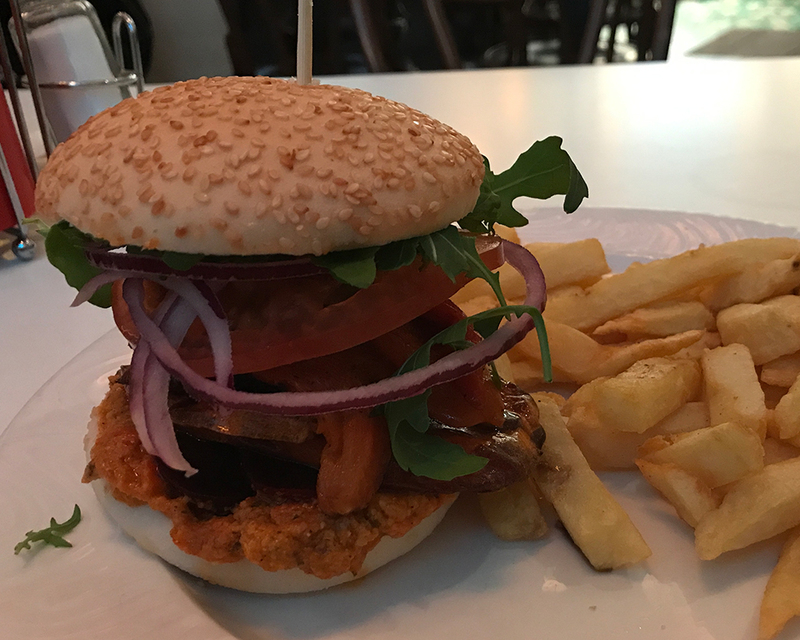 When was the last time that you stepped into a burger restaurant, mentioned your gluten intolerance, and was presented with a gluten free menu? Never? My answer was the same, until I stepped into Bobos Burgers Restaurant. With three locations in Dublin and the assurance of “Real Gourmet Irish Burgers,” Bobos is a much beloved local hotspot. Upon entrance into the Temple Bar location and chat with my server, I was brought the aforementioned gluten free menu and was delighted by all the options. My server was very attentive and even brought out their big book that details every ingredient, as well as every contaminant, in everything that they serve, to insure that everything I ordered was gluten free. I had a delicious Portobello burger, topped with a delicious red pepper spread, and piled high with veggies. The chips on the side were crunchy on the outside and soft on the inside. The bun was soft and speckled with sesame seeds, and amazingly, was the proper size for the burger. Your descriptions and photos are mouth-watering. Made me wish I was there!